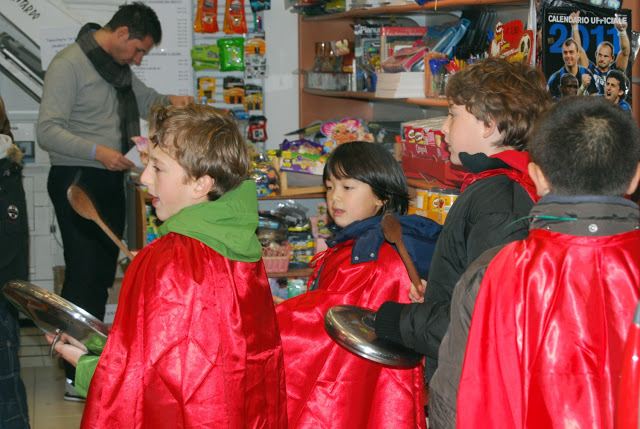 November 11th is the Festa di San Martino, a traditional Venetian festival full of fun, treats, and history. 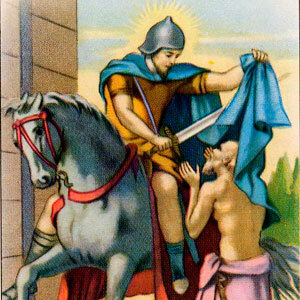 According to legend, San Martino (Saint Martin), helped a beggar, who was wearing only rags in the heart of winter, by cutting his cloak in two and sharing it with the man. San Martino is remembered fondly for his kindness to the poor. San Martin col culo par tera. suo papà ghe lo gà stampato. cari signori se San Martin. so papà no ghe la gavaria dada. siora Lussia ze Sa Martin. For weeks before the festival, special cookies in the shape of San Martino on horseback can be found in every bakery in town. These cookies are decorated with colorful candies, chocolates, and frosting and range in size from small to enormous. They are delicious and as I sit in Berlin right now, I am longing to simply walk a few steps down my little calle (street) and buy one for dessert! Here are a few photos of the cookies. The first photo shows some delicious ones baked by my friend Amy. Are you hungry yet?! 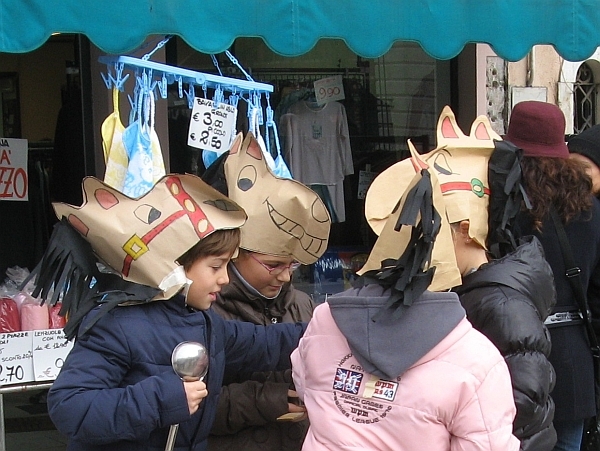 Please share any memories or photos you have of the Festa di San Martino in Venice! Ciao! Brings back good memories, thanks! 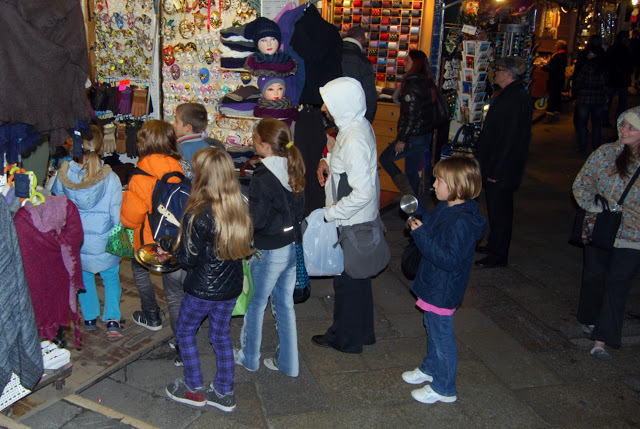 Gina, can you believe I didn’t make San Martino cookies this year.Victoria asked me not to make them or she would be tempted to eat them all(or at least all the candy-remember when she did that? )I felt really bad not making them….